75 years ago, the King was born. 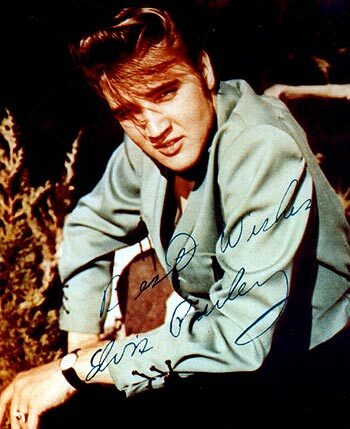 On January 8, 1935, Elvis Aaron Presley was born to Vernon Elvis and Gladys Love Presley in Tupelo, Mississippi. It was just a half hour before his identical twin, Jesse Garon Presley, was delivered stillborn, and Elvis, an only child, was the apple of his parents' eye. They were a poor family, and it was church where Presley found his first musical inspirations. 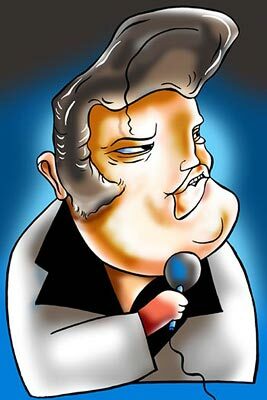 Photographs: Designer Uttam Ghosh dares to imagine what Elvis would look like at 75. When Elvis turned 13, the family moved to Memphis, Tennessee. At Humes High School, Presley's music teacher told him he couldn't sing. The youngster's response to that was to bring in his guitar to class and show 'em that he could, by rocking out a recent hit. Outside of that moment, Presley was a shy boy, often bullied in school, but in the guitar he'd found a friend, and took to the instrument with great enthusiasm. 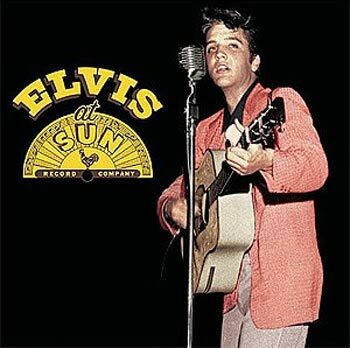 In August 1953, Elvis strolled into Sun Records, with the plan to buy a few minutes of studio time to record a couple of songs for his mother. Sun boss Sam Phillips was intrigued. Then on the hunt for someone who could bring the sound of black musicians to a mainstream audience, Phillips saw promise in Presley's distinctive vocal style. Soon an ad hoc trio was put together and a single was born. The offers started pouring in early enough, and Colonel Tom Parker, the best promoter in the biz, started managing Presley, a move that saw him sign onto the RCA Victor record label. For his first television appearance, Presley covered Carl Perkins' hit, Blue Suede Shoes. 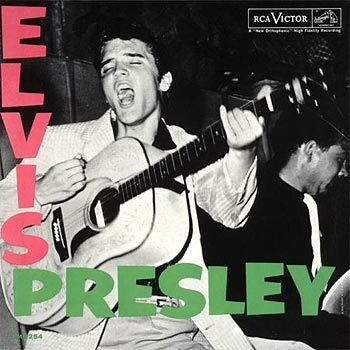 A couple of months later, in March 1956, came Presley's first album -- it became the first rock and roll album to top the Billboard chart, a position it held for 10 weeks. The hysteria was just beginning. Every few months Presley would turn anything into a cultural milestone. 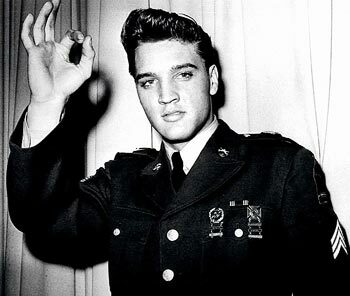 The frenzy over Hound Dog, the Ed Sullivan show appearance, being nicknamed 'Elvis The Pelvis,' his motion picture debut... Elvis dominated the 1950s right to the end, after which he was drafted. And the uniform made him a bigger icon than ever. Just mentioning that he had over 15 #1 albums doesn't do him justice. Or that he made the guitar take centrestage at a piano-driven time. 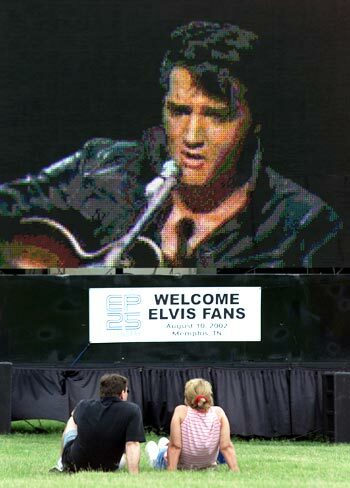 Or that John Lennon was too nervous to speak when the Beatles met Elvis. Everything seems too reductive. In Quentin Tarantino's Pulp Fiction, they say the world is divided into Beatles people and Elvis people. What they forget to mention is that Beatles people love Elvis too. May jukeboxes be blessed with his voice forever. All hail the King. Sing a tribute to Elvis!